Discover our selection of exclusive deals. Browse our current list of specials to begin planning your perfect vacation at The Breakers Hotel & Suites. 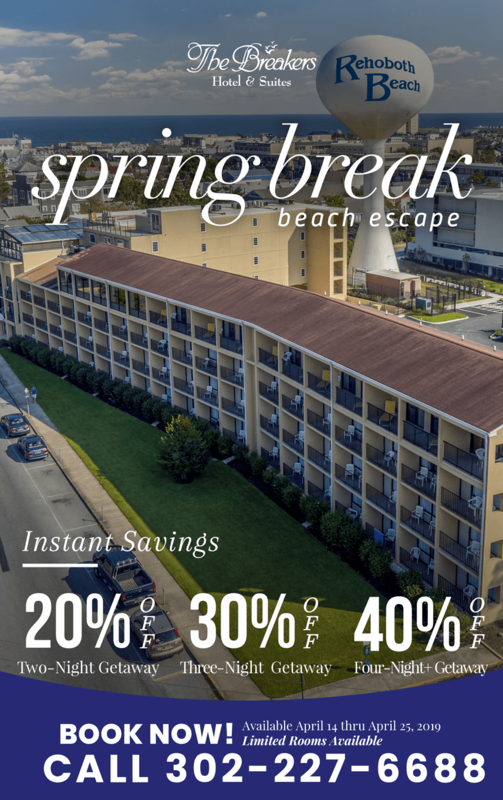 Call us at (302) 227-6688 for Reservations or Availability and check back frequently for new deals. Find unique specials, deals and vacation packages at the Breakers Hotel! Call us at (302) 227-6688 for Reservations or Availability! Discover a relaxing Rehoboth Beach vacation destination that includes stunning natural beauty, fun Rehoboth Beach activities, and incomparable services!